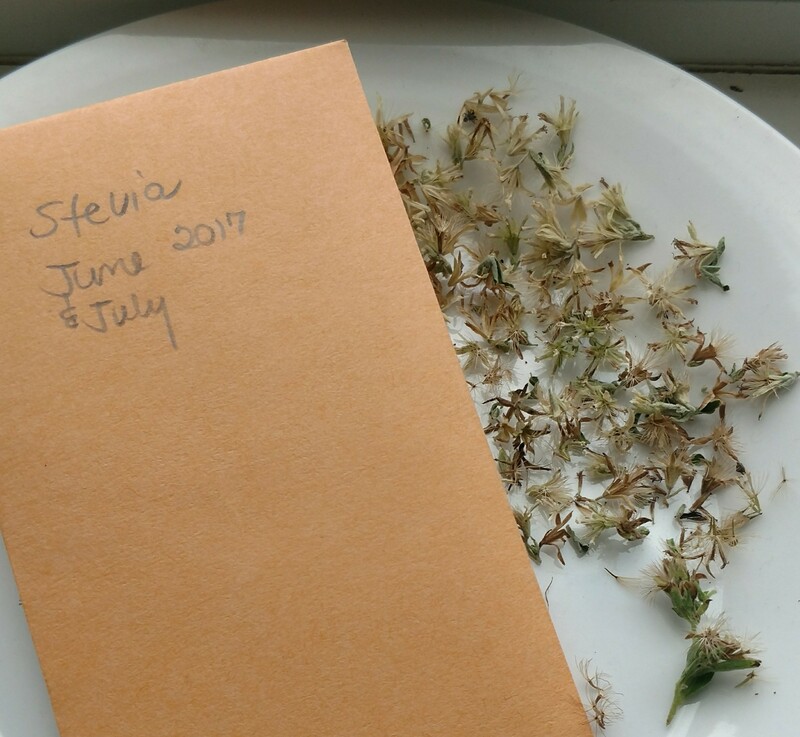 I’ve previously grown Stevia, but have not collected the seeds–before now. 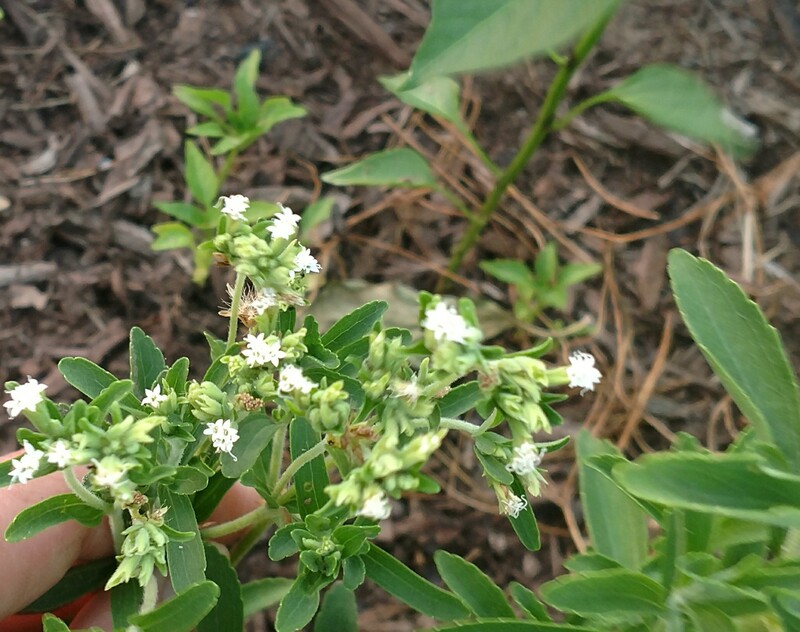 Stevia produces tiny white flowers. I did not flying insect pollinators, but did notice tiny ants visiting the flowers — but not damaging them. I’m assuming they were collecting nectar and pollinating in the process. Once the flowers had opened, it took about 10 days for the dried seeds to appear. The seeds were tiny, with brown hair-like attached structures (similar to a dandelion seeds), probably to assist them on a windborne trip to a new location. So, I watched for them to dry and open — and I checked on a daily basis in the evenings. A coin envelope is used to store seeds (these can be purchased in bulk from an office supply store — enough for several people, making the packaging cost affordable). Seeds collected today are in the lower part of the picture — the calyx is still green and the brown hair-like structures are visible on all the seeds. I keep these by the window as they dry, then place them in the package once completely brown. Before using the seeds, test the germination rate by placing a few seeds onto a wet paper towel and monitoring it for at least a week. Count the number germinated and divide by the total number of seeds to get an idea about how many need to be planted for the next crop. Learn more about herbs; how to grow and use them to accent your life! ← Eggplant — a Healthy Addition to You Garden and Your Diet!